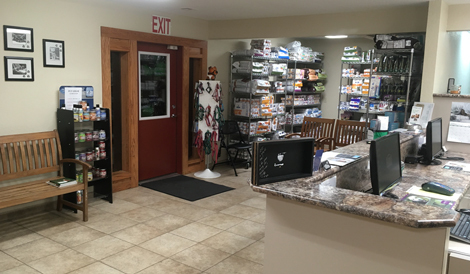 Oak View Animal Clinic was founded in 1992 by Dr. Karen Sherman, a sole practitioner, and opened at our current location in 1994 with a single boarding kennel, a reception area, and one exam room. In 2004, Oak View Animal Clinic expanded their facility. The most recent interior remodel took place in 2015. The parking lot was also completely revamped in 2016. These are some of the improvements we felt would be of benefit to our clients. We are very pleased with the final results. Within our facility is a dog kennel with a separate run-room, canine ward, feline ward, surgical suite, ICU ward, lead-lined radiology room, pharmacy, and three exam rooms. We also provide an out-call service and have a fully-equipped barn for all large -animal care. The mission of our hospital is to fulfill the needs of our clients. We provide quality healthcare services for pets from a responsive and professional staff, and we emphasize individual attention and commitment to our clients, their pets, and our community. We provide every pet with the best care that veterinary medicine has to offer.